With His Majesty’s consent, the Government of Brunei Darussalam is offering annual scholarships under a special scholarship award scheme, commencing in 2011/2012 academic session. Tenable in Brunei Darussalam, the aim of the Scholarship awards is to provide students, with the opportunity to study at Universiti Brunei Darussalam [UBD], Universiti Islam Sultan Sharif Ali [UNISSA] and Institut Teknologi Brunei [ITB]. The academic year for UBD, UNISSA and ITB commences in July / August 2011. 1.Applicants must be citizens of ASEAN, OIC, Commonwealth Member Countries and others and must be between the ages of 18 – 25 at the commencement of the academic session for which they are applying for admission. However, under exceptional case, the age limit requirement may be waived for candidates who are applying for Masters and PhD Programmes. 2.The awards are NOT eligible to Brunei Permanent Residents and foreigners residing in Brunei Darussalam for more than three months. 1.The Scholarship award is normally tenable according to the duration of the specific programme which is four years for an Honours First Degree or one to two years for a Master’s Degree or three years for a Doctoral programme at UBD, UNISSA and ITB, two and a half years for HND at ITB on full-time basis. 2.The Scholarship award is subject to the scholar maintaining satisfactory conduct and satisfactory progress in the scholar`s studies (this requires the scholar to maintain an active registration status by passing the prescribed semester examinations and obtaining the minimum course credit units). - from Brunei Darussalam to the scholar’s home country after the completion of the programme. 3.Free medical and dental treatment at any Government hospital subject to conditions stipulated by the Ministry of Health. However there will be administrative charges for every consultation (currently at B$3.00), admission to class A1, A2 and A3 wards and charges for certain dental treatment as stated in the schedule 1 Dental Treatment issued by the Ministry of Health. - Monthly personal allowance of B$500.00. - Annual Book Allowance of B$600.00. - Baggage Allowance maximum of B$250.00 to ASEAN and $500.00 to non ASEAN region. 5.The scholar is required to sign an agreement with the Brunei Darussalam Government to complete the course of study, failing which he/she will be liable to refund to the Brunei Darussalam Government all expenditures that have been extended on him / her. Completed application forms, together with certified copies of relevant certificates and documents, must be returned to the Technical Assistance Department not later than 15 December 2010. The awarding body reserves the right to reject any applicant. No award will be made if there is no applicant of sufficient merit. The decision on selection of any candidate is final. Equiries or disputes regarding its decisions will not be entertained. 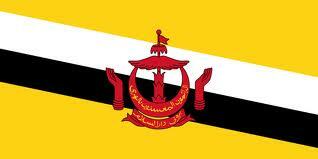 Demikianlah informasi mengenai Brunei Darussalam Government Scholarships to Foreign Students 2011 semoga berguna bagi anda.